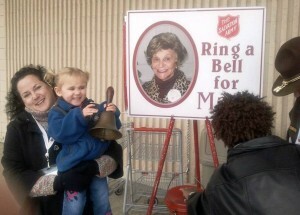 It was with great sadness in November, 2011 that we shared the news of Mary Middleton’s passing. Among her many other accomplishments during her long and full life, Mrs. Middletown was the first Northern Kentucky Republican woman to run for office in 1959, as well as the founder and first president of the Kenton County Republican Women’s Club in 1960. The Cincinnati Enquirer has published a remembrance of her life. Our annual scholarship has been renamed to reflect the gratitude that the KCRWC has for all that Mary Middleton did for our club. 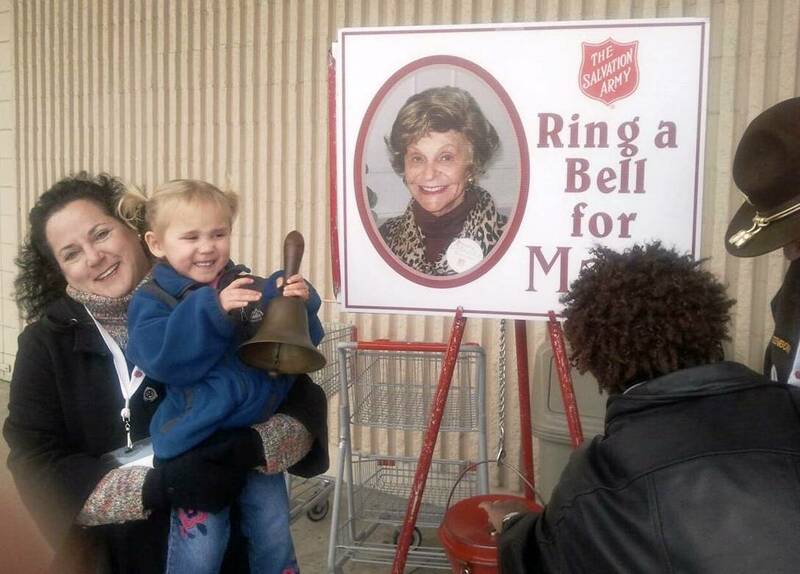 Haley – one of the youngest and cutest “Bellringers for Mary”! Join the KCRWC at Braxton Brewery on Feb. 25th with special guest Dr. Michael Gerwe! January 28, 2019 KCRWC meeting with KY Treasurer Allison Ball as guest speaker! Christmas Party 2018 – November 26th! 2018 KCRWC Chili Cook-off! Join us! The Kenton County Republican Women’s Club (KCRWC) strives to be a portal to the world of politics not only in Northern Kentucky, but also in our Commonwealth and our Nation. We give our members the opportunity, the knowledge and the support they need to run for office, manage and work on campaigns, meet personally with their national, state and local legislators and contribute to the education of their community regarding Republican causes. 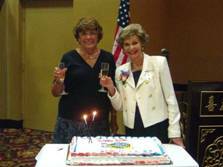 Membership in KCRWC is open to all registered Republican Women in the Northern Kentucky area of any age or ethnicity, who are interested in promoting the objectives and policies of the Republican Party. Our membership currently includes women from Kenton, Campbell, Boone and Grant Counties. Copyright © 2019 KCRWC. Titan Theme by The Theme Foundry. Customized by Penman Press. Login or register.